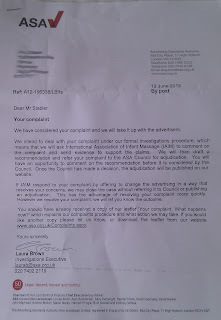 Just to keep people up do date with my compaint against the ASA, here's a letter I received in the post yesterday. I don't think it really shows much progress beyond my last update, but it does confirm that they'll be asking the IAIM for evidence to support their claims and then it will be looked at. 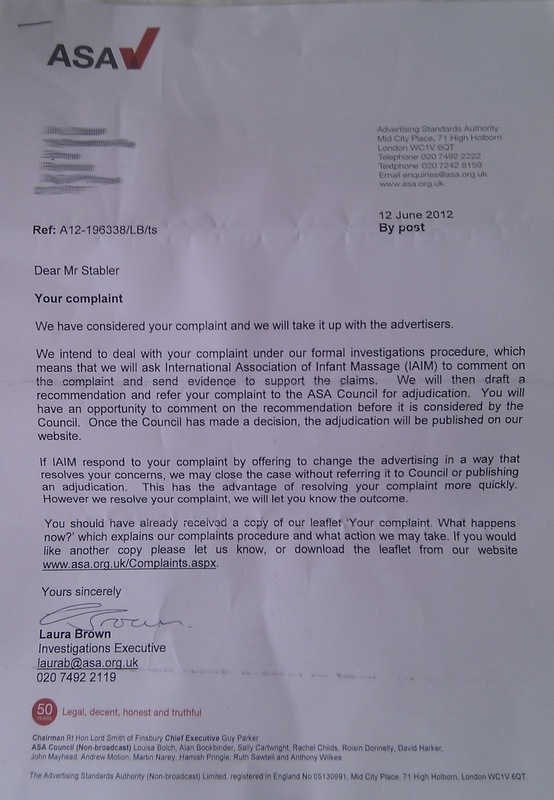 Obviously the IAIM could simply remove the unsupported claims from their website and then the complaint would be resolved. However, I get the feeling that whatever the outcome, I'll be submitting many more complaints about unsupported or misleading claims on the websites of individual massage instructors. If the IAIM is unable to grasp the importance of this issue in regards to their own website then I'm not sure they can be relied upon to inform and regulate their memebers. If it gets to the point that I need to comment on any recommendation to the ASA Council then I may be looking for a little help in formulating a robust response.